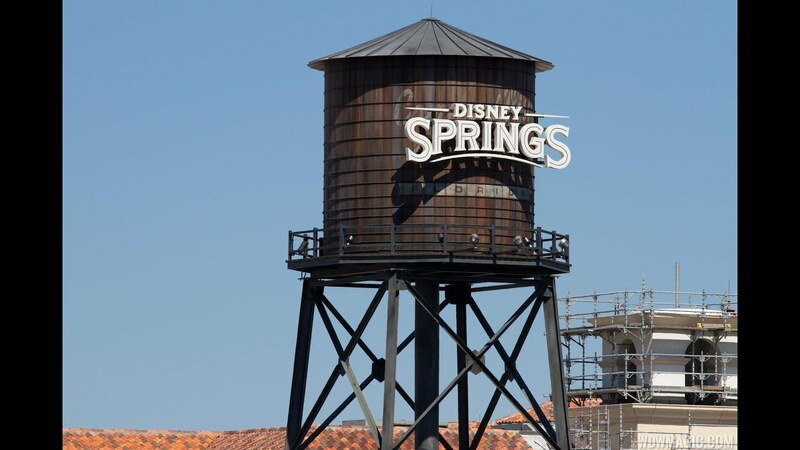 Nov 06, 2015 in "Disney Springs"
Disney has today opened the second pedestrian bridge at Disney Springs, linking the Marketplace to the Hotel Plaza Blvd and Buena Vista Drive areas. The bridge will be a welcome addition to guests staying in the hotels along Hotel Plaza Blvd, making it much easier to cross the busy intersection. The bridge will also be used by Cast Members using the cast parking lots across Buena Vista Drive. The bridge has 3 stops, starting at the Marketplace, with a stop on the other side of Buena Vista Drive, and then ending on the other side of Hotel Plaza Blvd near to the Hilton. With the opening of the bridge, the walkway across the road is now closed to pedestrians. This second bridge joins the first pedestrian bridge which opened in September, which crosses Buena Vista Drive near to the Team Disney area, and is located centrally from the Town Center/West Side area. Click the gallery for more photos of the new pedestrian bridge.